Shimano compatibility charts come in handy for assembling your bicycle, planning purchases, or troubleshooting. 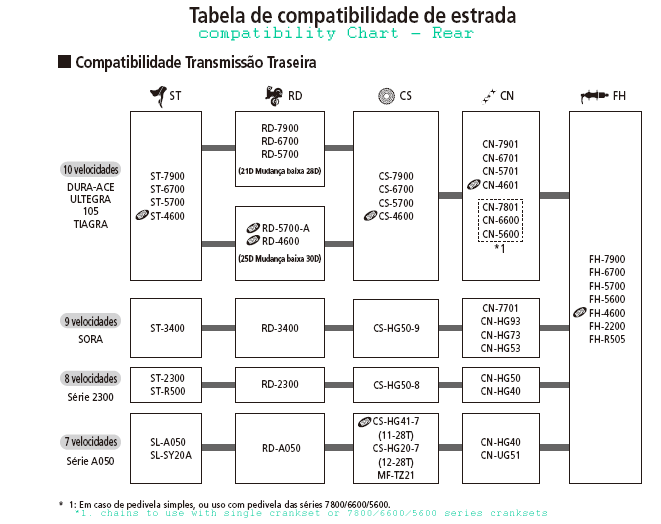 We have included their compatibility charts from 2012 here as well as notes to these charts. 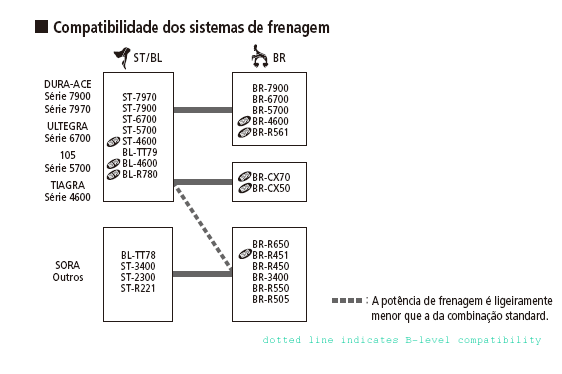 The 2012 charts were sourced from Shimano's Brazilian documentation - Portuguese ability isn't critical to understanding them. Just follow the lines. Comments welcome if anyone gets stuck. Shimano 105 Triple Shifter Change The 9-speed 105 front (left) shifter (model ST-5500 or ST-5510) is compatible with both a double or a triple crank configuration. Shimano's move to 10-speed cogsets initially started out like this: the 105 front shifter (left, ST-5600) was compatible with both a double or a triple crank configuration. But Shimano saw a large number of warranty claims due to breakage of the shifters caused by improper setup early on. Their response was to introduce the double-only compatible ST-5601 and the triple-only ST-5603. 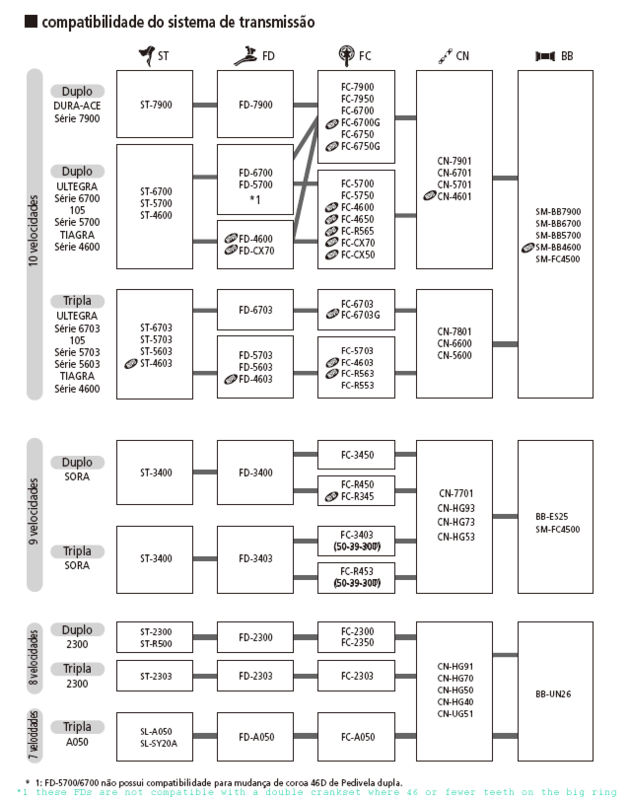 Ultegra and Dura-Ace already had the double-only and triple-only shifters.